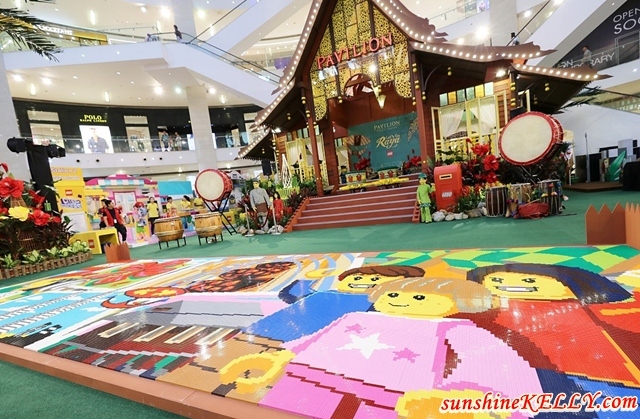 It’s all about LEGO® for this Hari Raya at Pavilion Kuala Lumpur. For the very first time in history, LEGO® Malaysia created 4 new Malaysian Mini-Builds specially for this celebration, featuring the wonders of Malaysian culture for a limited time until 2nd July 2017. Pavilion KL was once again honoured by the Malaysia Book of Records for the “Biggest Mosaic Made of ‘LEGO®’ Bricks” in Malaysia. Let’s Go Raya! The decorative Mosaic, which was made up of over 87,000 pieces of LEGO® bricks, meticulously put together by the LEGO® Malaysia team. Measuring 8 metres in length and 3 metres in width, the Mosaic features the nation’s icons and represents unity and racial harmony for Malaysia. As a symbolic gesture, the Guests of Honour completed the biggest LEGO® Mosaic in Malaysia, with the help of the children from special homes. The launch ceremony was officiated by YB Datuk Seri Utama Tengku Adnan Minister of Federal Territories; Puan Sri Cindy Lim, Executive Chairman of Kuala Lumpur Pavilion Sdn Bhd. And attended by Dato’ Joyce Yap, CEO of Retail, Pavilion KL; and Philip Ho, CEO of Pavilion REIT. With three strikes on the traditional ‘Rebana Ubi’, both Guests of Honour brought the ‘LET’S GO Raya’ celebrations to life. As part of Pavilion KL’s CSR initiative to reach out to the communities during festive celebrations, 10 Home representatives, 120 Children and 23 Single Mothers joined in the delightful celebration. Pavilion KL’s “Charity at Heart” initiative once again dedicated RM30,000 to jointly benefit Children’s Homes and Single Mothers Association. A cheque was presented to the 10 Children’s Homes and Single Mothers Association representatives by Puan Sri Cindy Lim before ‘Duit Raya’ was given to the invited children and single mothers. LEGO® Malaysia created four new Malaysian Mini-Builds specially for this celebration, featuring the wonders of Malaysian culture: the Bunga Raya, Kampung Village House, Wau, and Ketupat. Produced in limited quantities, these exclusive edition of Mini-Builds are available to shoppers for redemption when they spend a minimum of RM300 on LEGO® products at the Centre Court or at the LEGO® store on level 6 of Pavilion Elite. You can also appreciate the art of LEGO® at the Centre Court, level 2, where the LEGO® ‘Kampung House Diorama’ is on display. Completely built out of 100,000 pieces of LEGO® bricks, the Diorama is one-of-its-kind and measures 2.1m x 2.1m x 60cm (height). The intricate art piece was put together by 18 builders from the LEGO® User Group of Malaysia (LOM), who is a certified LEGO® Users Group in Malaysia. ‘The Kampung House Diorama’ drew its inspiration from local Malaysian villages and features eight Kampung houses, 3 government service buildings, 1 hawker centre and 1 Bazaar Centre in its neighbourhood. 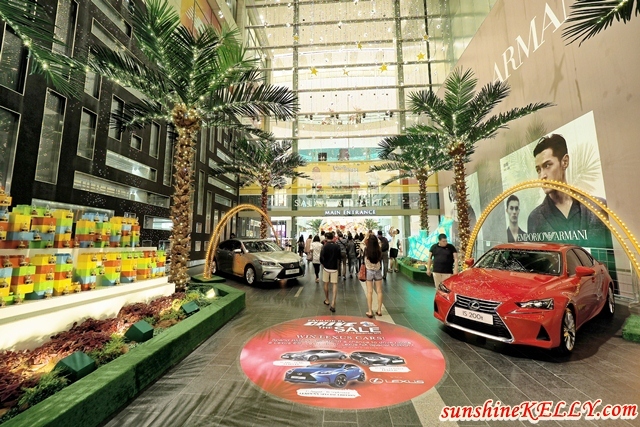 In conjunction with the 1Malaysia Mega Sale Carnival, Pavilion KL is pleased to launch the ‘Drive The Sale’ campaign, where 3 Lexus cars worth over RM900,000 will be given away to lucky shoppers. Simply spend RM500 in a single receipt at any specialty store, proceed to the Lexus car display at Couture Pavilion, level 3 to guess the number of miniature cars on display, before proceeding to any Concierge Desks for a chance to win a Lexus ES, Lexus IS or Lexus NX Special Edition. For more information about Let’s Go Raya @ Pavilion Kuala Lumpur, please visit Pavilion KL Website, Facebook, Instagram or or contact Pavilion KL’s Concierge at 03 2118 8833. Not a huge fan of Lego but this is interesting. Wished I could make a trip to KL before they are taken down! Aww. This is so cool! I really love lego and I love how they can be creative even its only Lego!